1946 release of this classic! Stunning Title Card with spectacular graphics and artwork. 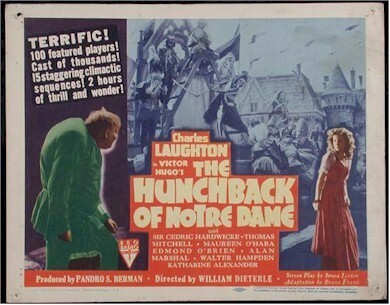 Nice image of Laughton as the "Hunchback". Excellent condition.